Ska Studios is known for their slick art style, dark tones, and violent gameplay with the likes of The Dishwasher: Vampire Smile and The Dishwasher: Dead Samurai. 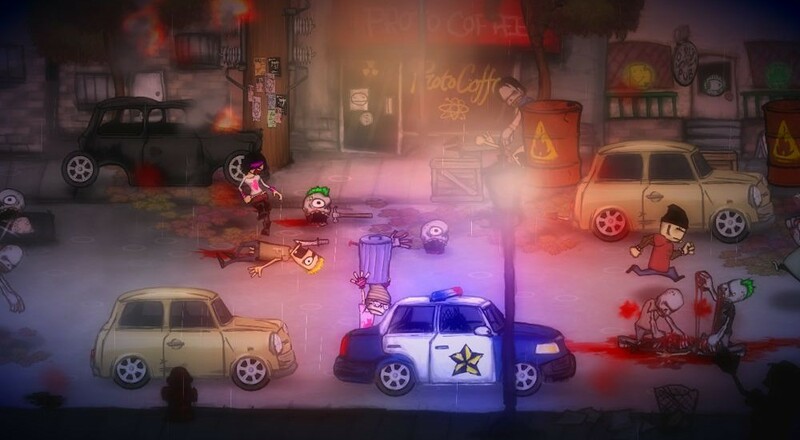 Their newest game, Charlie Murder, continues the tradition - bringing a side scrolling four player co-op beat em' up to Xbox Live Arcade on August 14th. The other night we played the game with Michelle Juett and James Silva of Ska Studios in online three player co-op. Taking control of Charlie Murder, Lester Deth, and Tommy Homicide we beat are way through zombies and other twisted enemies in a game that is every bit as much about collecting, upgrading, and customizing your character as it is punk rock. We'll have our full review of Charlie Murder up next week, but for now enjoy almost an hour of gameplay. It's taken from about midway through the game, but we skip any story elements to avoid spoilers. Note you might see some skipping and such in the video, this is more an artifact from streaming the game via Twitch.TV and not indicative of how it actually performed. Page created in 0.4720 seconds.